“Siting Postcoloniality” takes as its points of departure the postcolonial critiques of colonial cultural hegemony and nationalism and interrogates their focus on moments of opposition and resistance and the possibilities of strategic subversion in the colonial archive, literary texts and cultural processes. The colloquium and workshop address and analyze how the postcolonial episteme has been transformed by its transposition from earlier locations and archives by foregrounding the varieties of experiences of colonialism with a special emphasis on locations in East Asia (China, Hong Kong, South Korea, Japan and Taiwan), Southeast Asia (Malaysia, Singapore, the Philippines), Africa, the Maghreb and South Asia. Does the redistribution of cultural hegemonies and the rise of new global hierarchies by economic globalization and cultural transnationalism require a fundamental rethinking of the methods and tools for studying postcoloniality and suggest the need for “world” paradigms and comparative and multilingual approaches in postcolonial literary studies? 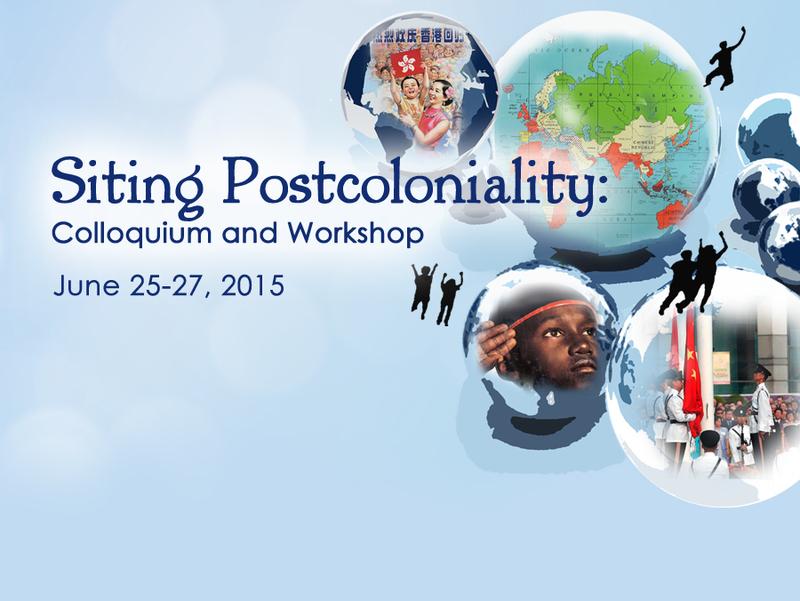 “Siting Postcoloniality” emphasizes Hong Kong’s position as an important site for understanding postcoloniality and for initiating a global conversation on how forces of cultural hegemony work in complicity and conflict with state power and the agency of literature in postcolonial civil societies.